A contemporary Yogi, philanthropist and self-proclaimed Guru, likened GPS to a Guru. He said – A GPS will guide you when you are in an unknown territory, just like Gurus would! However, here’s my take on it – GPS is not just about guiding you in an unknown terrain, but can do lot more than that! How’s that? Read on…. Firstly, let’s try to answer the question “What is GPS?” Also, what is GNSS, GloNaSS? Far too many acronyms? A GPS is Global positioning system, which much of us know. But, what many of us don’t know is – it is one of the GNSS out there. GNSS – Global Navigation Satellite system, is a bunch of satellites up there in the space, which helps to pinpoint your geographical location. This could be done using a receiver, which receive and decipher the signal and information sent by these satellites. The receiver has to recover signals from multiple satellites to be able to accurately compute the geographical location. More the satellites, it is more likely that the location would be accurate. Things would be a little clearer later. In addition to location information, GPS also gives you accurate frequency and time information. 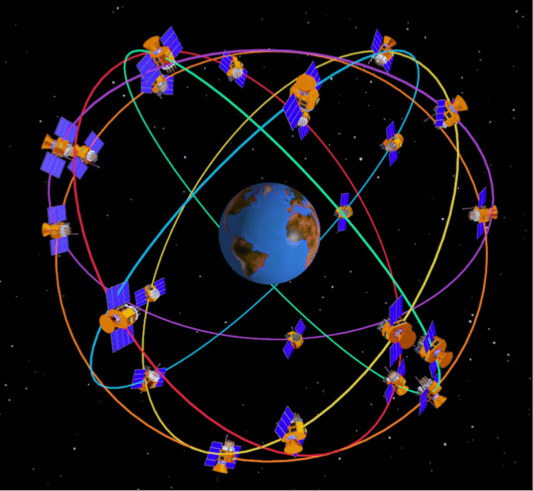 While GPS is a global navigation satellite system managed by the Americans; Russians, European union and Chinese have their own version of GNSSs. While Russians have GloNaSS, the Europeans the Galileo, the Chinese BeiDou; India has its own indigenous IRNSS, which is in its final stages of making. All of these are similar to GPS and some of the receivers in the market have the capability to receiver more than one GNSS signals. Receivers supporting more than one GNSS stand a better chance of receiving more satellites and therefore at any point of time and at any location, they are more likely to generate accurate location information. However, let us focus on GPS to understand its operation and its use. GPS, operational since 1978 and globally available since 1994, is currently the most widely used global navigation satellite system. Although originally intended for military applications – for precise delivery of weapons to intended targets; its utility was extended for civilian use by diluting some of the information so that precision is restricted to couple of meters, to prevent wrong people from misusing it for wrong purpose. However, improving the precision is still possible through special techniques like differential GPS, etc. Incidentally, India has satellite based augmentation system called GAGAN (GPS Aided Geo Augmented Navigation) which helps to improve the accuracy of GNSS receiver by providing reference signals. GAGAN is more intended for aiding flights and without digressing, let us keep to GPS. GPS consists of upto 32 satellites in medium earth orbit (~20,000 Kms) in 6 different orbital planes, with exact number of satellites in use at any point of time varying as older satellites are retired and replaced. By design, there are atleast 24 of them for proper positioning at any location on the earth. More satellites are deployed to improve reliability and availability of the system. The orbits are arranged so that at least six satellites are always within line of sight from almost anywhere on the Earth’s surface. These satellites send signals coded with information carrying time, frequency and data that could be used to decipher the location information. The modulation technique used is Direct Sequence Spread Spectrum (DSSS) which allows multiple satellites to share the same frequency band. Code Division Multiple Access (CDMA) spread-spectrum technique ensures the low-bit rate message data is encoded with a high-rate pseudo-random (PRN) sequence (code) that is unique for each satellite. With the PRN codes for each of the satellite, the receiver will be able to receive data from each of the satellite in view, in a sequence. CDMA spread spectrum renders the GPS signals highly robust and immune to interferences. The satellite send coded data actually on two separate signals – L1 (1.57542 GHz) and L2 (1.2276GHz). The L1 signal carries Coarse Acquisition code (C/A code) for civilian use, encrypted Precision (P(Y)) code for military purpose and the Navigation message. The L2 signal also carries the encrypted precision code for military purpose. The precision code could be decoded only if the receiver has the encryption key. P(Y) code when decrypted carries information required to improve the precision – for example removing the effects of the ionosphere. Any receiver intended for civilian purpose will receive both L1 and L2 signals, but can decode and decipher only C/A data and therefore will not be able achieve high level of precision in location. If you recollect my earlier statement that precision (in location information) is diluted for civilian use and this is how it is done. A receiver intended for military use can receive L2 signal and decode the precision data by having the encryption key and therefore can be more precise. To clarify the difference between accuracy and precision – for a given set of satellites visible at a location at a specific time and given reasonable signal strengths of their signals, a civilian receiver will have a larger circle on the map to pinpoint the location on a map, while a military receiver will have a much smaller circle on the map to pinpoint the location on the map. The receiver could be anywhere within the circle. Therefore, a military receiver would be in a position to pin point the exact location. The illustration below explains the difference between accuracy and precision. Here’s how the GPS receiver figures out its location. It uses distances of the receiver from multiple satellites to compute the location on the earth, provided precise location of the satellites are known. The receiver uses accurate time information from the satellites to compute the time of flight of the signal and from that it can compute its distance from the satellite. Let us assume that the receiver is able to see 4 satellites. You may consider d1, d2, d3 and d4 as the distance travelled by the signals from the satellites. If you draw four spheres with centers being the location in the space of these four satellites, with d1 to d4 as their respective radius, then these four spheres will all intersect at one point on the surface of the earth, which is the location of the receiver. Here the speed of the signal is not assumed to be equal to speed of light! This is because the signal experiences slowing down when it pass through ionosphere and troposphere. In addition, when signal enters these two layers, it also undergoes refraction and therefore the signal actually travels longer distances on account of this. The receiver factors in all of these during computation. By knowing the exact location of the satellites and the distance to these satellites, the receivers can then compute its location. Satellites use highly accurate onboard atomic clocks which is periodically synchronized to more accurate clock in ground station, to compute the distance from satellites whose precise location in space is known. Satellites also continuously send out two set of data – Ephemeris and Almanac. Almanac data is course orbital parameters for all Satellites. Each satellite broadcasts Almanac data for ALL satellites. This Almanac data is not very precise and is considered valid for up to several months. Ephemeris data by comparison is very precise orbital and clock correction for each satellites and is necessary for precise positioning. The ephemeris data is information that enables the precise orbit of the GPS satellite to be calculated. Ephemeris also carries current time. Each satellite broadcasts only its own Ephemeris data. This data is only considered valid for about 30 minutes. The Ephemeris data is broadcast by each satellite every 30 seconds. To conserve power and bandwidth, the signal follows low bit rate and therefore takes long to transfer a bunch of data. Due to low receive signal strength and low bit rate, the receivers take long to get the first fix. TTFF (Time To First Fix) is the time taken for the receiver during turn ON to receive the satellite signals and compute the location. TTFF during “cold start” is the time taken when a receiver starts receiving signal from the satellites afresh (either there are no stored data or the stored data are not valid) and compute the location. TTFF during cold start can last anywhere from 40 seconds to several minutes, depending on how many satellites are visible and the signal strength of the received signals. However, receivers save the location and last received data (pertaining to Ephemeris and Almanac) before turn off and use the same data during their next turn ON. They can then cut down the TTFF, provided all of the stored data are still valid (Ephemeris data is updated once every 2 hours and is valid for upto 4 hours) and the satellites which are visible has not changed much since the last reception. In such cases, typically referred to as “hot start”, the TTF can be significantly low – in the order of few seconds if the location from the last stored value has also not changed much. Under some other conditions referred to as “warm start”, if part of the stored data (last location and almanac if it is still valid), the receiver has a general idea of which satellites to look for because it knows its last position and the almanac data helps identify which satellites are visible in the sky. In these cases, it takes longer than a hot start but not as long as a cold start. AGPS or Assisted-GPS is a technique to improve TTFF, the cell phone manufacturers and mobile operators have introduced, which allows the smart phones to download Ephemeris and Almanac data via cellular network and get a rough location information through triangulation of signals from cellular towers. Instead of receiving these data over slow rate GPS signals, relatively higher speed wireless data network can deliver the data quite quickly so that the receiver can compute the location quickly. Having said all of these, I have to admit that there’s more to understanding GPS than these. These are just the basics covering earlier generation of GPS signals handled by Block II, IIA, IIR and IIR-M series of satellites. Newer generation satellites Block IIF have additional signal L5 at 1176MHz which make it compatible with other GNSS systems and also the signals are transmitted at higher power. This article is not complete without discussing our own indigenous IRNSS from ISRO. Indian Regional Navigation Satellite System (IRNSS), an independent navigation satellite system consisting of 3 satellites in GEO (Geostationary) orbit and 4 satellites in GSO (Geosynchronous) orbit, approximately 36,000 km above earth surface. The nation saw the last of the 7 satellites successfully launched and parked at the designated spot late April 2016. With this, the nation is self-reliant and does not have to depend on any one else for precision signals and accurate location data. During the Kargil war, when it was denied the GPS data of the locality, India committed to develop an indigenous navigation satellite system and IRNSS is the outcome. With this, we can be proud that India is the 5th nation to have its own (G)NSS after the US, Russia, China and European Union. 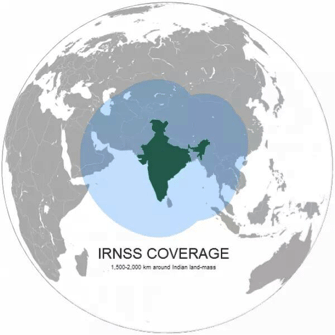 Although IRNSS is not global in coverage, it does well for the region covering India and its immediate neighboring countries. India will no more be arm-twisted into submission!! Another application of GPS is Telematics – monitoring and tracking your vehicle (or your goods). If you are a vehicle owner or a fleet owner, you can monitor and track the location of your vehicle/s at any point of time. The vehicle would then have an On-board unit (OBU) with a GPS receiver and GSM/3G/4G transmitter, which will continuously transmit the GPS location of the vehicle to a predetermined server. You can then trace the route on the map the vehicle has taken and you would know if it has deviated from its original plan. With Geo-fencing, you can get an alert soon as the vehicle breaches its intended route or geographical area. E-Call feature will help crash victims by providing timely assistance. The OBU, on sensing a crash will send out the last GPS coordinates of the vehicle to a server, following which either a telephone operator can render support over a return voice call or automatic dispatch of an ambulance to the location of the crash. A vehicle mount or a ship mount container can also be tracked with a battery powered OBU fitted to the container. In addition to vehicles and goods, it is possible to monitor and track people – old and the weak, senior citizens with dementia, visually impaired, children and even pets through wearable tracking devices having GPS receivers and Wireless transmitters. Wildlife officials can monitor and track movement of animals with radio collars having similar tracking devices. In farming, harvesting machines and planting machines working on huge farms / plantations, on auto-pilot mode use GPS coordinates to guide them through every piece of land for their operations. The much talked about driverless cars would depend on GPS data for their basic operation – getting the car to the target location. Taxis use GPS for locating customers and to get them to their destination. But of course, we should not forget their use in military, which incidentally was the main motive for developing the GPS– delivering the weapons and warheads to the intended targets precisely. Lastly, GPS has been guiding aircrafts in all weather conditions during flight and difficult terrains (among the mountains and on islands) during landing which benefits hugely from precise GPS location information. In addition to location, GPS can also be used for maintaining precise time. Timing accuracy in the league of nano-seconds can be achieved with ~95% probability using GPS signals. Communication networks use GPS time for synchronization. For example – Communication networks following TDMA (Time division multiple access) use GPS precise timing information to synchronize nodes in the network. Precise time information is used to synchronize and switch in power into electrical grids. The Train Collision Avoidance System use GPS as one of the inputs for getting accurate time, to compute speed of the train and also location information; to detect if two trains are in collision path and automatically realize braking operation in one or both the trains to prevent collisions and to save scores of lives. All the usages and applications that I have listed above are only some very obvious ones. GPS receivers are used in many more applications. However, kindly keep in mind that, in this context, I have used GPS to refer to GNSS. In fact, many GPS receivers use other already deployed GNSS signals (GloNASS and or BeiDou) to improve the performance. They seem to impact all parts of our lives – from improved lifestyle to emergency situations. Therefore, GPS or GNSS receivers are no more a luxury, but an essential part of our lives.